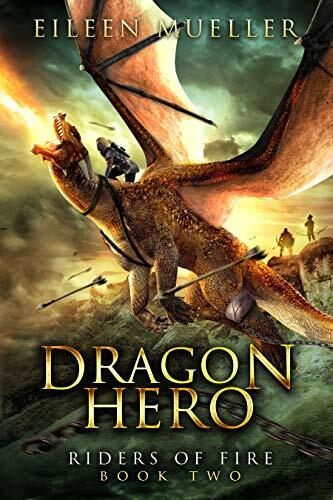 SpecFicNZ member, Eileen Mueller, has had two novels in her Riders of Fire dragon series listed in the 2019 Storylines Children’s Literature Notable Book List, for the highest quality books across four genres which were published during 2018. The Notable Books List is compiled from more than 100 entries by expert panels of authors, teachers, librarians, academics and parents. The annual list was begun by Storylines in 1999 and provides a useful reading and purchasing guide to families, schools and libraries, and to young readers. The books, Ezaara and Dragon Hero, are the first titles in Mueller’s Riders of Fire dragon series and are intended for a teen readership. The two-time Sir Julius Vogel Award winner is published by local small press Phantom Feather Press. When Ezaara meets Zaarusha the Dragon Queen, she’s swept up in a blaze of color and they imprint, forming a deep bond. She must give up her home and family to become the new Queen’s Rider. Ignorant and unprepared, how can she possibly succeed? Luckily, she has a dragon master — although rumors say she might be better off with the enemy. Plunged into a world of cutthroat politics and traitors in every shadow, who can Ezaara trust as Commander Zens and his army of bestial tharuks march closer, razing villages and enslaving the people of Dragons’ Realm? Tomaaz doesn’t believe in dragons, until the dragon queen abducts his twin sister, Ezaara. When she goes missing, his parents reveal dangerous family secrets. That night, his father is wrongly imprisoned while his mother heads deep into Death Valley to atone for a dreadful crime. To make things worse, an army of bestial tharuks attacks his village. No one is prepared. Torn, Tomaaz doesn’t know who to save. Should he rescue Pa from prison, help the villagers, or follow Ma into enemy territory? Or should he save Lovina, the abused daughter of a traveling merchant? Tomaaz has to act fast, because Commander Zens and his clone armies are marching through Dragon’s Realm. Cover art for the two titles are by Christian Bentulan from Covers By Christian.